Some of the best apps are those that specialize in a single task. 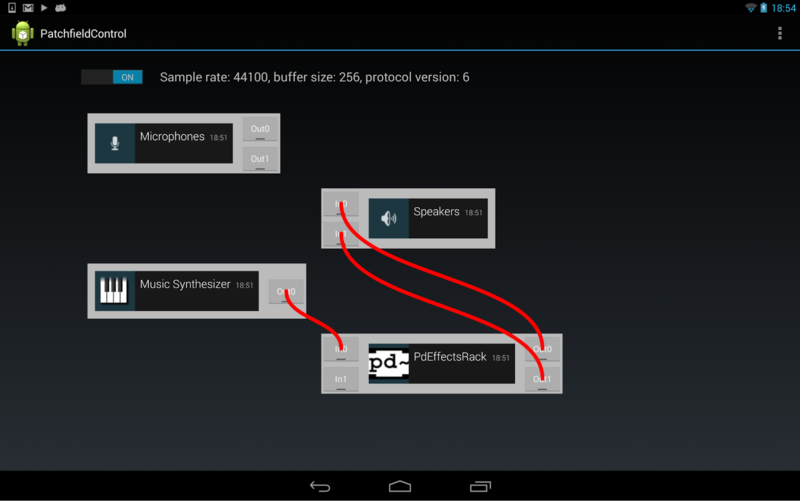 With Patchfield, a new open-source audio library for Android, you can create highly focused audio apps (such as synthesizers and effects) and then combine their capabilities by connecting them to one another in a virtual patch bay. Inspired by JACK, the JACK Audio Connection Kit, Patchfield provides a simple, callback-driven API for implementing audio modules, a flexible API for managing the signal processing graph, and support for inter-app audio routing. Patchfield is the 20% project of Peter Brinkmann, an engineer on the speech infrastructure team.